After horizontal triangle in wave  and initial descending impulse in wave (1) were completed, the correction started. We may suppose that it’s the second wave. The forecast is still bearish. In the near term, we can expect wave (2) to be finished and the price to continue moving downwards. 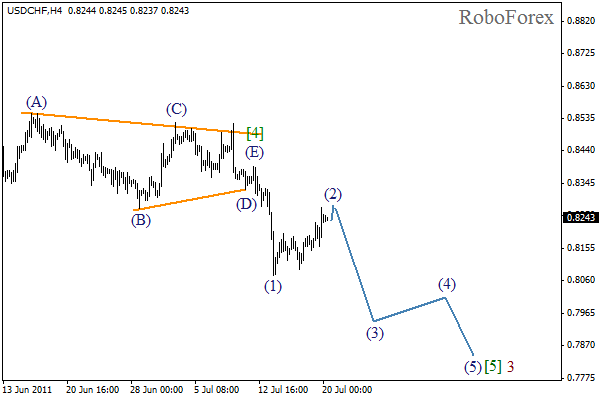 At the H1 chart we can see the formation of zigzag pattern in wave (2). 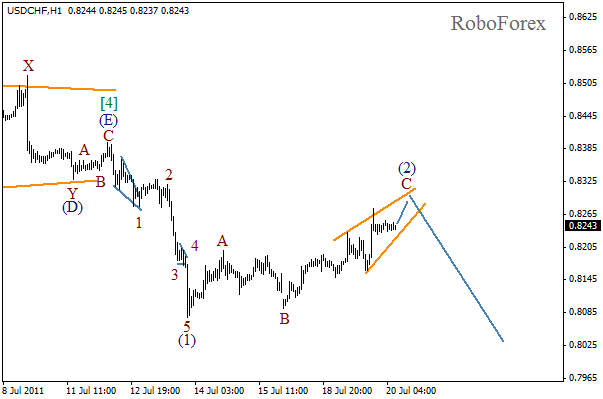 On the minor wave level we have diagonal triangle forming inside wave C. The correction may be finished during the day. The formation of initial bearish impulse will confirm the start of the third wave. 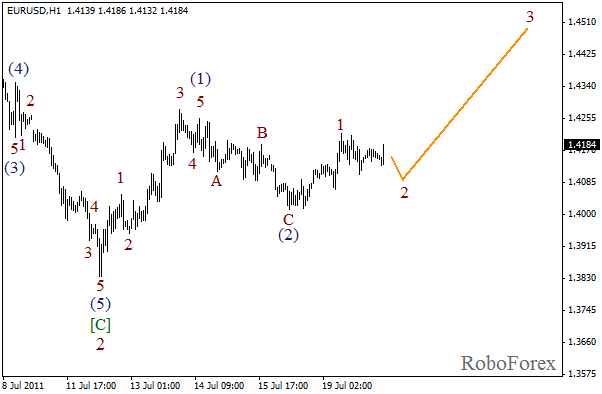 At the H4 chart after prolonged correction in wave 2, wave 3 is being formed. The bullish forecast still remains in effect. In the near term, we may expect the price to continue growing during the “rally phase” of Wave (3). 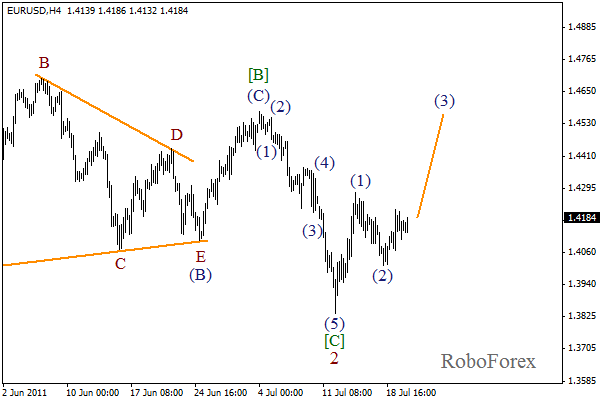 As we can see on the H1 chart, initial impulse was completed in wave (3) and at the moment the second wave is being formed. The local correction may be finished during the day, and, most likely, the price will grow again.